Very sad that he has passed. I really enjoyed his character/acting in Magnum P.I. This entry was posted in Uncategorized on November 10, 2017 by Silver Willow. RIP, I remember him. Tom Selleck even looks good today, wow. I'd almost forgotten how drop dead gorgeous Tom was. I always enjoyed Higgins but then I've always liked stuffy Englishmen with cool dogs. 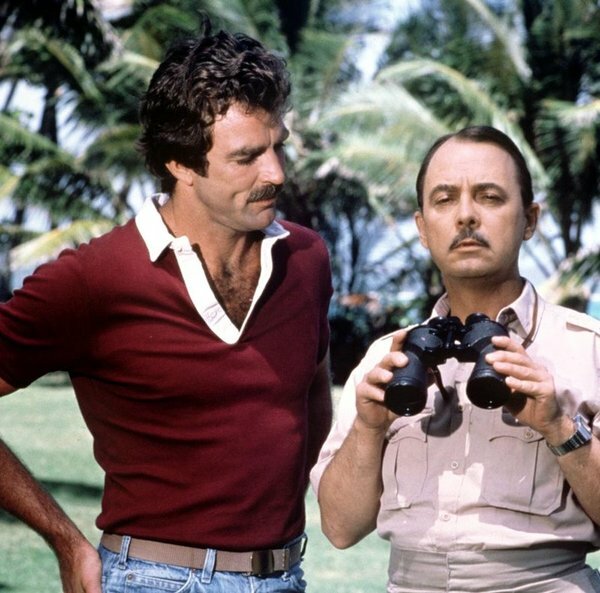 I only watched 2 whole episodes of Magnum. The first time on a trip to visit a friend in Orange County and the 2nd because I was sick in bed and nothing else was on. Funny though I do remember him as a fussy type character and found him funny against “magnum's” type. next to magnum he was my favorite. i'm sorry to hear this. I hadn't read or heard about it anywhere. all I've read in the past said that the magnum crew and stars were extremely close. I always liked that about them. I hadn't heard. May he have peace. I can remember watching this series.